The public relations department of Chinese search engine Baidu.com has confirmed to local media that Li Mingyuan, general manager for Baidu.com's Internet shopping branch Baidu Youa, is departing the company for personal reasons. Baidu.com has appointed Cai Hu, former general manager for Baidu Alliance, as the new Baidu Youa general manager and Cai's position will be taken over by Chu Dachen, general manager for Baidu.com's business analysis department. 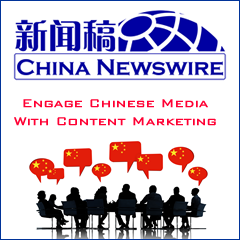 Baidu.com said the personnel changes will not affect Baidu Alliance's strategies or policies. Ca and Chu are expected to complete the work transition in April 2010 and the company will appoint a new general manager for the business analysis department at that time. Li Joined Baidu.com in 2004 as the first product manager of the company's Post Bar. After that, he was in charge of the designs of Baidu.com's community products. In 2007, he was appointed general manager of Baidu.com's e-commerce business department, commanding the C2C e-commerce project of the company. 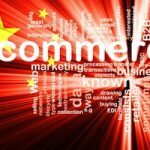 Rumors swirling on the Internet are that Li's departure is related to Baidu.com's recent strategy adjustments in the e-commerce sector. However, Li has reportedly denied this. Prior to this, Baidu.com announced plans to jointly establish a B2C firm with Japan's Rakuten. I would just like to point out two small inaccuracies in this article. 1. Cai Hu is a former general manager of Baidu Union, not Baidu Alliance (there is no such thing as Baidu Alliance). 2. Baidu is Baidu, Inc., not Baidu.com, when the company (rather than the site) is referred to. It would be great if the writer could note this to prevent repeating this mistake.